Join us at the Annual Dads & Kids Pizza Night on Wednesday, Sept. 19 at 6:30 p.m in the cafeteria. Enjoy FREE pizza & lemonade with your child, learn more about the WatchDOGS, & sign up for your day! All Summitt students & their fathers/father-figures are invited. Have questions? Email summittwatchdogs@gmail.com. See you there! Monday, September 24th will be our first professional development day, and it will also be a student holiday. We look forward to bringing our learning from that day into the classroom! Tonight, Wednesday, September 19, at 7 pm at Silver Grill (on Parmer Lane), is the last scheduled homeroom parent informational session. We will go over the responsibilities of the position and the schedule of events at Summitt this year. We’ll also talk about recommendations on how best to communicate with your class families as well as organizational tips to make your school year easier. Please contact homeroomcoord@summitteagles.org with any questions. 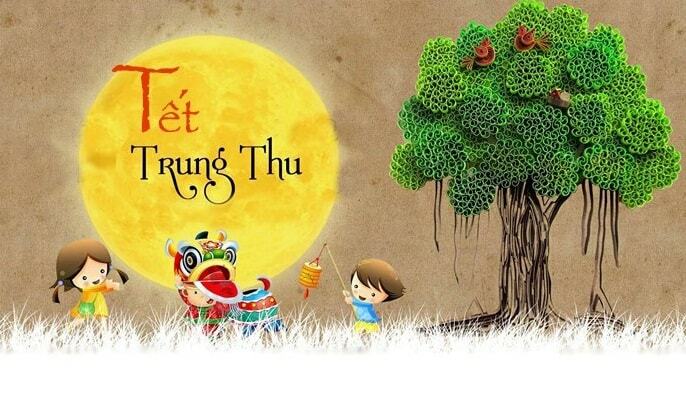 The Vietnamese Dual Language program will host the Mid Autumn (Tet Trung Thu) Festival on Sept. 28th at 6:30 pm – 8:30pm. Admission is $3 and dinner is $5/plate. Drinks and snacks will also be available for purchase. Cash only. There will be activities for kids and kids talent show, lion/dragon dance performance and a lantern parade at the end. If you want to learn about the history of the Mid-Autumn Festival, click here. If you did not get enough of our amazing students in the Lion and Dragon Dance Team, they will be performing at the Asian American Cultural Center off Duval/Jollyville at 2:15 pm. Come out and cheer for our Summitt team! Our Summitt Eagles always look forward to Soaring Skyward, our day to celebrate Flight, on Friday, Sept. 28. This is an all-day event, starting at 8 a.m. in the cafeteria/gym and ending at 2:30 p.m. on the blacktop for our bubble dance. We will have guest speakers and exciting demonstrations together. We will also have lots of hands-on activities for the kids to get an immersive experience of space. Parents are encouraged to join your student and/or volunteer during this day of learning. But please remember to bring an ID and sign in and out at the office! No time to stop by the library? Feel free to fill out the form at home. I can choose a book for your child, or have your student come by during the school day to do it. Just write in “You choose” in the blank marked title. Thanks for your support! If you are free 10:30 am to 11:30 am any day during the week, please consider helping out in the cafeteria. Pre-K and Kinder classes are still getting used to their lunchtime routines and need a little extra help. Contact Shana in the front office (shana.pokorny@austinisd.org) with questions. Thank you to our Eagle Family Sponsors so far whose generous donations directly support our students at Summitt. This list continues to grow and we are grateful for each family’s generosity! And 100% of your tax-deductible $100 donation goes directly to programs hosted by the Summitt PTA for Summitt students. Eagle Families will receive sponsorship recognition at both Eagle Fest & Spring Fling, in addition to receiving an exclusive Eagle Family Sponsor Thank You Gift! You may purchase a sponsorship at https://summitteagles.org/store. For more information about Eagle Family Sponsors, please contact Sarah Allen at sarahdeeallen@gmail.com. Mark your calendars for Summitt’s annual fall carnival fundraiser, Eagle Fest! Join your school on Saturday, October 20, from 3-6pm on the Summitt grounds for exciting games, fabulous prizes, a spooky haunted house, delicious food, and lots of school spirit! Calling all moms!! Are you spinning your wheels and getting nothing done? Do you have a to-do list that just gets longer even though you’re TRYING!?! (PS – It’s NOT your fault!!) Let’s seize that time that’s slipping through your fingers at a new weekly “MomBoss time” led by former Summitt mom and current professional home organizer, Ryan Lanier. You deserve to get more done when the kids are in school, so bring a big tote, laundry basket, bag, or whatever you have that will cart your papers, mail, forms, school papers, coupons, lists, ETC, and start laying your hands on PROGRESS for you! Come every Tues or just whenever you can, & you’ll start to feel like “I GOT THIS!” Hurry and RSVP via text to 512-799-7994 or email ryan@loveyourspaceorganizing.com (further details provided upon RSVP). The Little Yoga House will offer after school yoga for K-5th grades on Tuesdays, beginning on Sept. 25, from 3-3:40 pm. Registration and information is here.